Let’s Talk Towing. Which RV Hitch is Right for You? Gross Trailer Weight (GTW) – The weight of the trailer when fully loaded. Tongue Weight(TW) – The downward force that is exerted on the hitch ball by the coupler. The tongue weight will vary depending on where the load is positioned in relationship to the trailer axle(s). Weight Carrying (WC)– “Weight Carrying” refers to the amount of load a receiver hitch is capable of carrying when used as a “deadweight” hitch — that is, using only a standard utility ball mount to connect the hitch to the trailer. Weight Distributing (WD)–“Weight Distributing” is the rating used to describe the capacity of that same receiver hitch when used in conjunction with a weight-distributing hitch kit. The kit increases the hitch’s towing capacity because it spreads some of the weight of the trailer out over the tow vehicle’s and trailer’s suspension and tires, as opposed to concentrating it at the hitch and trailer coupler. Typically, a receiver’s Weight-Carrying load rating is much less than its Weight-Distributing rating. Check the towing capacity of you tow vehicle. It should be clearly listed in your owner’s manual. Determine the gross trailer weight (GTW) of your tow item. Select the class of hitch rated for your vehicle. NOTE: Pay close attention to your RV’s gross trailer weight (what the axels are capable of carrying) and the total weight of your RV when it is fully loaded (RV weight plus supplies). You never want to tow a trailer with a total weight greater than the vehicle manufacturer’s rating. It could cause damage to the vehicle’s engine transmission and frame. And could void any manufacturer’s warranties. A higher class of hitch DOES NOT increase the vehicle’s tow capacity. WC GTW: Up to 2,000 lbs. WC TW: Up to 200 lbs. A Class 1 hitch is ideal for the person typically hauling bicycles, cargo carriers, kayaks, mobility scooters, and small-size trailers. Because of the nature of the loads being hauled, most vehicles you’ll find using these hitches are compact, mid-size, and full-size cars, SUV’s, and minivans. Class 1 hitches usually attach to the bumper, truck pan, or vehicle frame. WC GTW: Up to 3,500 lbs. WC TW: Up to 525 lbs. Class 2 trailer hitches are one of the more multidimensional trailer hitches because their hauling ability offers the flexibility to haul everything a Class 1 trailer hitch can, but also increases its tow limit to 3,500 lbs. This fact not only offers opportunities to pull small pop-up campers and boats, but it also gives a Class 2 trailer the ability to haul certain travel trailers, including models like the 2016 Wolf Pup. A Class 2 hitch is essential for pulling not only the travel trailers themselves, but for integrating with options such as bike carriers or platforms for generators. 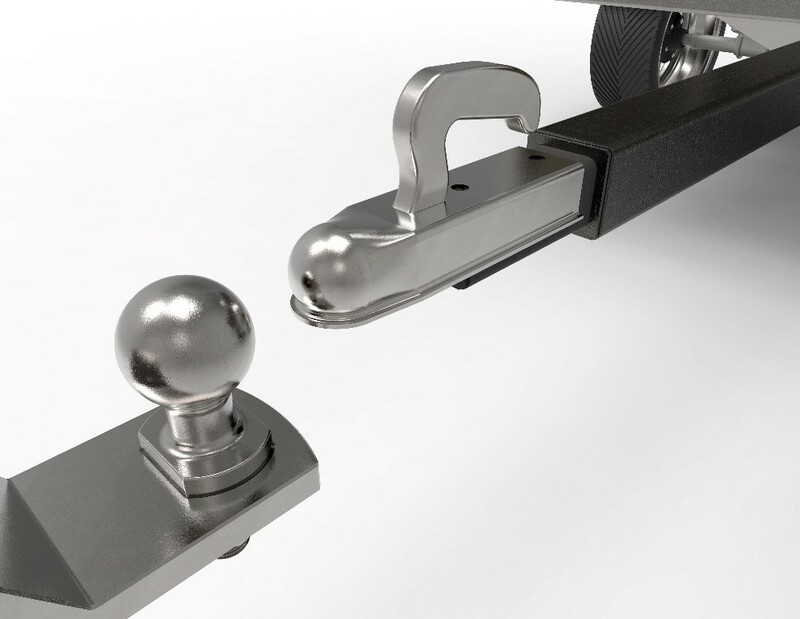 They also fit with most fifth-wheel trailer frames.Class 2 hitches usually attach to the bumper or vehicle frame. WC GTW: Up to 8,000 lbs. WC TW: Up to 800 lbs. People who need to tow items like mid-sized campers, utility trailers, lawn maintenance equipment, or toy haulers need at least a Class 3 trailer hitch. Most any medium- or heavy-duty SUV, minivan, or truck will have the towing capacity needed with this kind of hitch.Class 3 hitches attach to the vehicle frame. WC GTW: Up to 7,500 lbs. WC TW: Up to 750 lbs. WD GTW: Up to 12,000 lbs. WD TW: Up to 1,200 lbs. A Class 4 trailer hitch is ideal for hauling large boats, toy haulers, and large campers, including luxury destination campers, because of their sheer hauling power. However, due to the weight their towing, it’s necessary for heavy-duty trucks and SUVs to be used as a tow vehicle. Class 4 hitches also include accessory adapters for bicycle or cargo carriers or ball mounts. Even RVers with motorhomes often need a Class 4 trailer hitch because it gives them the ability to haul a boat, ATV, snowmobile, or other motorized “toy.”Class 4 hitches attach to the vehicle frame only. WC GTW: Up to 12,000 lbs. WC TW: Up to 1,200 lbs. WD GTW: Up to 14,000lbs. WD TW: Up to 1,400 lbs. Class 5 trailer hitches tow the maximum amount of weight a vehicle can feasibly carry, and as such, they’re reserved for the largest payloads. The most pressing need for a Class 5 trailer would be when hauling large toy haulers, equipment haulers, and even multi-car trailers. Class 5 hitches attach to the vehicle frame only. 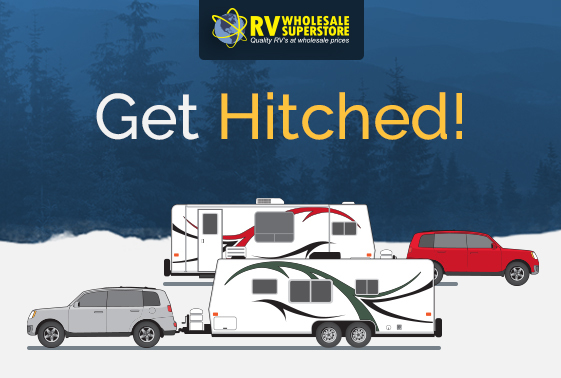 Ready to Shop for an RV Hitch? Make sure you get the right one for you. Download this handy infographic!